This multi-year investigative report reveals evidence that, since 2008, over 20 US companies have imported millions of dollars in illegal wood from the Peruvian Amazon. This trade appears to be in violation of US and international endangered species laws as well as the US-Peru free trade agreement. 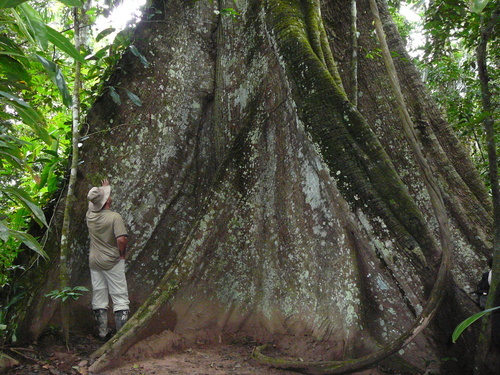 EIA’s report analysed official documents which demonstrate that at least 112 illegal shipments of cedar or mahogany wood – laundered with fabricated papers and signed off on by Peruvian government officials – arrived in the US between 2008 and 2010. These shipments account for over 35% of all trade in these protected species between the US and Peru. Twenty-two US companies were found to have imported at least one shipment of this illegal wood. At least 45% of the shipments exported by Peru’s largest timber trader, Maderera Bozovich, most of which were received by Alabama-based affiliate Bozovich Timber Products, Inc, appear to have contained laundered wood. EIA believes that these figures are conservative, and would increase with access to more complete data from field verifications. Click here to access the report (38.6MB). Here is a great group to get involved with if you want to help protect the rainforest.